We are in the middle of one of the most severe economic recessions since the Great Depression, with unemployment higher than has been seen in decades and companies are looking to cut costs in every way possible. It begs the question: how can an investment in mobile learning make sense? In recessionary times training budgets are one of the first areas to be reduced or eliminated. Right now employees are more focused on being heads-down and productive and doing their jobs than taking training. In this environment, how does any learning professional go to management and present a compelling case to spend money and invest in new skills and new technologies? In today’s environment, many people would expect to get a stern reminder of budgetary restraints. 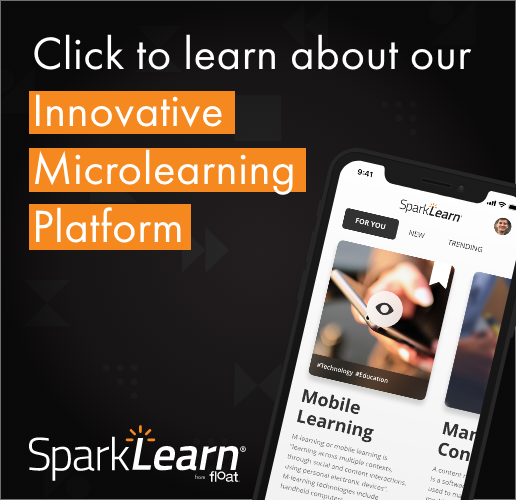 However, with a modest time investment on your part and a critical look at your organization’s operations, you might find that now is the perfect time to consider making an investment in mobile learning. Basic business fundamentals tell us that companies improve their bottom line in one of two ways: increase revenue or decrease costs; if you can do both, all the better. This two part series on the business of mobile learning takes an in-depth look at how mobile learning can benefit both sides of the business equation. This month’s newsletter takes a look at ways to increase revenues and next month’s will focus on reducing costs. First a quick disclaimer: there is no silver bullet here. Every organization is different, from the products it sells to its organizational structure to its unique operations. This newsletter cannot possibly provide all the answers, as the best and appropriate ways to increase revenues and decrease costs are specific to each individual business. However, within this month’s and next month’s articles are a few key tips and logical techniques for uncovering the opportunities for growing revenue and reducing costs in your company. Mobile learning is about access to information. More specifically, it is about accessing useful information anytime, anywhere. So, the key to building a strong business case for mobile learning is to identify ways to provide better and timely access to the right information, which in turn can help your company increase revenue or decrease costs. Companies generally have three basic ways to generate more revenue. They can increase the prices of their products or services. But none of these methods work magically; there has to be an underlying, fundamental change in the demand for your product or services. Selling more or being able to charge more for the same product requires raising the demand for your product or service through better sales and marketing efforts or a perceived differentiation in the marketplace. Mobile devices can help increase the demand for your products and services by providing both your customers and your sales force with better access to information about what you sell. As various ways in which better access to information can increase revenue are described in this article, you will notice that the lines between what is considered mobile learning and what is known as mobile marketing are blurred. This is to be expected. It is difficult to talk about growing sales or increasing the demand for products and services without talking about marketing in some form or another. For instance, does the idea of making your company’s website accessible on a mobile device strike you as being a marketing activity or a mobile learning task? Most people would contend that a company’s website falls within the marketing department’s domain. However, if you subscribe to the idea that mobile learning is about ‘making useful information available anytime, anywhere’ then it becomes less clear if a mobile version of your company’s website is learning or marketing. The good news is that it really doesn’t matter. The same concepts of context and access to information apply whether we are talking about mobile learning or mobile marketing. Therefore, if businesses are going to find ways mobile learning (or marketing) can help increase revenue, there needs to be a plan for increasing demand through the immediate access to information that mobile devices offer. This is true both in terms of how you sell to your customers and what you sell to your customers. In order to find ways that mobile learning can help you sell more, you must first think about and understand what makes your product or service relevant and unique. There are three key steps or questions to thinking through making your product or service unique. Why would someone want to spend money on what you have to offer? What information does a client or a customer need to make a well-informed decision and how do they get this information? When do they need to access this information? By understanding what your customers base their purchasing decisions on you can be in a better position to provide that information via a mobile device. Amazon.com and Target are both excellent examples of this. Both have superb websites that are optimized for mobile devices. Both provide access to product information, price and availability. Amazon.com even has access to the same user reviews that you can find through the full browser version of their website. Imagine yourself in a store like Best Buy considering the purchase of a new inkjet printer. You might have thought about doing some research before you left your house, but you didn’t and now you are standing in front of a row of ten printers trying to decide which to buy. You might ask a salesperson for some suggestions and he or she might be able to give you a good answer but chances are they haven’t used all ten products so knowing which one is the best for you might be more of a guess. But having access to reviews and information about the various printers you are considering through your mobile phone allows you to make a much more informed decision about your purchase. Another key mechanism by which a business can improve their revenue is through the support of their sales force. If a business goes to market with a trained sales force, then those people have a focused job description; it is to generate the demand and bring in sales. What information needs do they have? How can they best be supported in the field? Do you have a diverse product line that changes regularly? Do you have frequent turnover in your sales force requiring a heavy investment in regular training? Can some of this training be done on the road, as a podcast or a series of tip sheets accessible from a mobile phone? By thinking of mobile devices as small computers with instant access to information, the possibilities are numerous. Like your customers, the key is to think about what information your salespeople need to access and how you can improve their ability to access that information quickly, when they need it. We’ve talked about ways to increase demand through how you sell. But what about adding value to what you sell. Just as there are many ways to inform and influence the buying decision before a purchase, there are equally many ways to use mobile devices to enhance the buyer’s perception of your product or service before, during and after the sale has been made. Doing these activities well can lead to repeat business and referrals to other potential customers. Mobile learning offers opportunities to provide a richer, more valuable experience with your product or service. To identify these opportunities, think about what information you can provide your customers that will improve how they use your product or service. Also think about the context for how they might access that information. For instance, do you want your customers to know how to contact the customer service department if they have a problem, or do you want them to be able to solve most issues on their own? Do you provide troubleshooting tips? Are there user forums where people can share ideas and tips about best practices? Maybe you already provide this information on your company’s website. It may be tempting to think that just because information is available via the web on a desktop or laptop computer that it doesn’t need to be accessible on a mobile device. However, considering the rate at which mobile devices are increasingly being used to access the web, this may not be a good idea. According to a recent Morgan Stanley report, analysts expect that the mobile web with overtake desktop internet access by 2015. As more and more people access the web from their mobile devices, you have to ask yourself, how well can they get to the important information about your products and services. 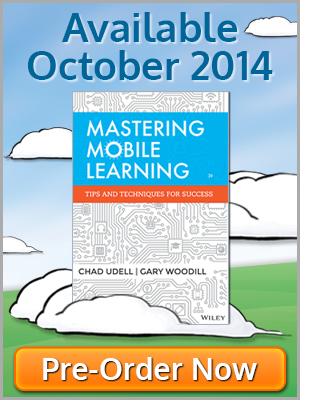 When it comes to growing the top line of your business, mobile learning and mobile marketing have a lot in common. Whatever you call it, the key is to make sure your potential customers and those who have purchased your products or services have access to the information they need. By putting yourself in the shoes of your customers or your sales force, you can identify ways that the idea of providing “useful information anytime, anywhere” can enhance people’s experience and perception of what you sell. With some focused time investment and a critical look at your company’s sales activities and practices, a business can most likely improve their top line through the use of mobile learning.